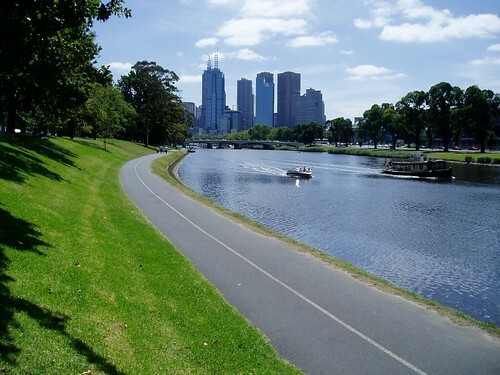 Running track runs along the brimming Yarra river for miles on end without interruption. 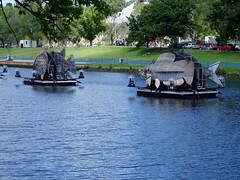 Melbourne is getting ready for the Commonwealth Games (March third week)and these fishes are part of that. 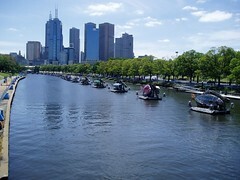 These were lined for a mile leading to Melbourne Cricket Grounds (MCG), the venue of the opening ceremony. 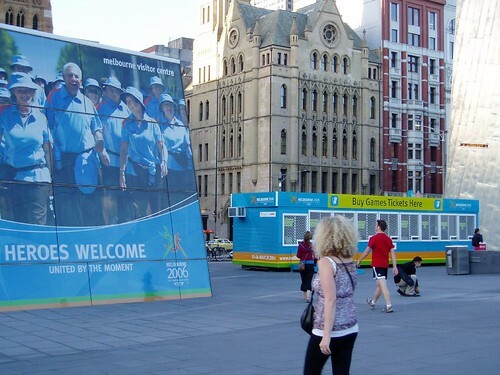 Want tickets for the Commonwealth Games 2006? 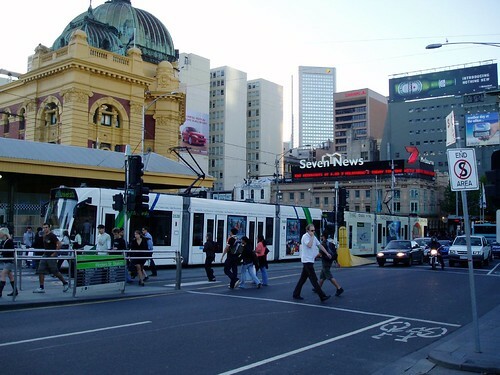 Trams of everywhere and are easy to use. Just one ticket for train, tram or bus. Flinders Street Station is a busy station connecting downtown or Central Business District (CBD) to its residential suburbs. 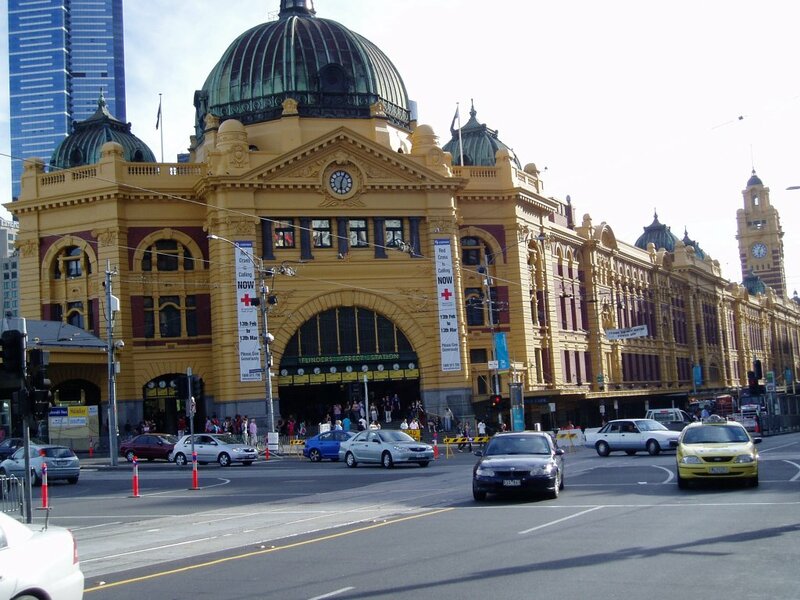 I heard that original plans of the Flinders Street Station were actually designed for the VT central station (now Chathrapathi Shivaji Terminus) of Mumbai, but were mixed up in the London office (during the British days) and sent to Australia instead. 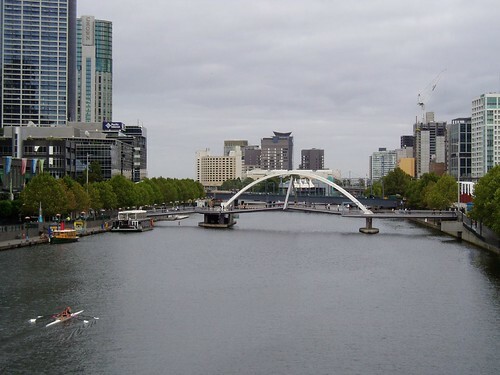 Landmark pedestrian bridge across the Yarra River connecting the Central Business District (CBD) with the South side. Have seen this in few Indian pictures, NalaDhamayanthi to name one. 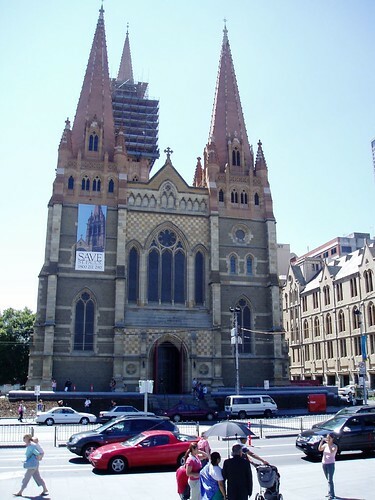 Ram, you should visit the Indian Resturant 'flora' in Flinders Street. Their masala dosa and vada are fantastic...yum. Now you are making me feel jeleous. I think I am going to stop looking at your blog if you keep posting these cool pictures. Will your company mind if I travel for you ?? hahhah just kidding !! Anyways, I joined a gym at the Jayalalitha stadium today. Getting my upper body in better shape for Bangalore. I heard about 'Flora' at work as well.. will check it..
btw, we went to Bedi's in south side.. the food was good.. I thought of doing one more illustrated post on MEL.. now I will have to defer / abandon it.. !!! 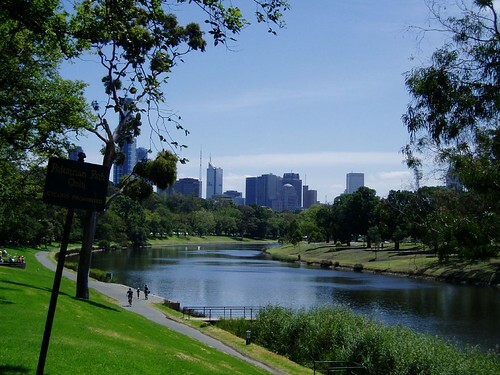 Loved the running track next to Yarra. Now, who wouldn't want to run with a view like that? I went Flora.. I think, I have been there before.. I was hungry so the taste didn't really matter..
if u r still in melb. Good thinking about Coovam / Adyar riverside running tracks.. I hope it happens.. some time.. But unlikely in my life time..